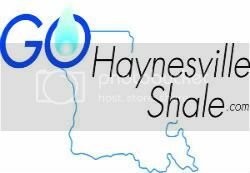 Shreveport Mayoral Candidate Roy Burrell: "Shreveport’s future will be brighter tomorrow because of the Haynesville Shale." Does the well information on Sonris tell you which direction the horizonal portion of a well is going? If not, is there a way to find out? I have seen that something maybe happening on Mansfield Road, Keithville, La. look like a road coming in.. any activity? Is there any activity south of hwy103 and east of hwy 147 ?